Point Defiance Zoo & Aquarium (PDZA) is the only combined zoo and aquarium in the Pacific Northwest. The 29-acre zoological park was established in 1905, and attracts about 700,000 visitors a year. It is nationally accredited by the Association of Zoos & Aquariums (AZA) and the Alliance of Marine Mammal Parks and Aquariums (AMMPA), which ensure rigorously high standards of animal welfare, veterinary care, conservation, education and more. We envision a world where people and wildlife share the Earth in harmony. The Living Collection: We are committed to providing the highest level of care to the wildlife ambassadors entrusted to us. Learning: We connect people to nature through unique educational experiences that engage their minds, touch their hearts and move them to embrace responsible stewardship. Conservation: We support and participate in initiatives that protect and save wildlife and wild places. Science: We actively seek knowledge about wildlife and human behaviors that strengthens all aspects of our organization and mission. Sustainability: We are stewards of the Earth by actively conserving resources and minimizing our ecological footprint. Community: We aspire to enrich the lives of the people in our community. Financial Stability: We manage our resources in ways that inspire trust and demonstrate accountability to the community. Innovation: We embrace a creative and entrepreneurial approach to exhibitry, programming, conservation and customer service. Staff: We are committed to the continuous development of our skilled and professional family of employees. Active Living: We connect people with nature by providing unique, healthy recreational experiences. Fun: We provide joyful and entertaining experiences in a stunningly beautiful outdoor setting. Northwest Trek Wildlife Park, also accredited by the Association of Zoos & Aquariums, is a 725‐acre zoological park dedicated to conservation, education and recreation by displaying, interpreting and researching native Northwest wildlife and their natural habitats. A facility of Metro Parks Tacoma, it is located 35 miles southeast of Tacoma, off State Highway 161 near Eatonville. 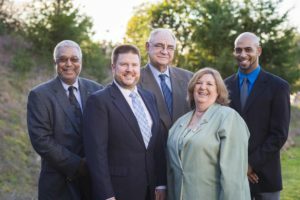 The current Board of Park Commissioners. Point Defiance Zoo & Aquarium is a facility of Metro Parks Tacoma, an independent government agency creating healthy opportunities to play, learn and grow since 1907. A five-member Board of Park Commissioners governs Metro Parks Tacoma and is the policy determining body for the park district. View the current Board of Park Commissioners. The Zoo/Trek Authority was established in 2001 to oversee disbursement of sales tax revenue to Point Defiance Zoo & Aquarium and Northwest Trek Wildlife Park. In 2000, Pierce County voters approved a one-tenth-of-a-cent increase in the local sales tax rate to support the Zoo, Northwest Trek and parks. One-half of these new local revenues go to Point Defiance Zoo and Northwest Trek. The other half is divided among park systems throughout Pierce County. The ZTA is charged with approving the biennial operating budgets for Point Defiance Zoo & Aquarium and Northwest Trek prior to final adoption by the Metro Parks Tacoma Board of Commissioners.